From the rise of the Islamic State to the refugee crisis and Ukraine, the last years have been marked by geopolitical friction that led to several dramatic flash points. What can we learn from these conflicts and how can we respond to these challenges? 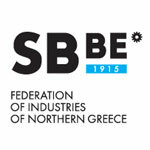 Greece’s achievements during the difficult years of economic adjustment and on the current developments in the Greek economy and the sustainability of the Greek debt, highlighting future challenges and prospects. Local Government in times of Crisis: is it time for bottom - up solutions to our top - down problems? The EU Commission foresees investments in EU amounting to over 300 billion Euros in near future. Following that plan the Member States will propose numerous investment projects. What are the gears for new financial regimes? The role of different players: EC, EIB, financial institutions and private sector? How can we increase the visibility of the regional capital markets? How can the regional capital markets benefit from linked trading and post trading infrastructures and aligned rules and regulations? Are such joint projects under way? How can European financial institutions support market development and cooperation? Which initiatives can allow SMEs to tap local and international investors? What is the view of the buy side in accessing those markets? Despite the volatile political environment, investments in Greece are gathering speed. The privatization commitments are being implemented. What are the projects that are being initialized and which ones are in the pipeline? The importance of infrastructure as a key driver for growth, competitiveness and social wellbeing is well established. Yet, a significant number of economically viable infrastructure investments are not moving fast enough. How can we contribute to this objective? What are the determinants of the value chain between businesses and commercial diplomacy? How can we better promote international trade, corporate partnerships and at the same time market Northern Greece as a location for FDI and R&D activities? More growth is needed to reduce high unemployment rates, to consolidate public finances and overcome growing divergence within the Eurozone. How is it possible to fashion and implement an industrial policy that strengthens Europeans’ global competitiveness and preserves our high living standards? Diversification of energy resources, suppliers and routes is crucial for ensuring secure and resilient energy supplies to citizens and companies who expect access to affordable and competitively priced energy. How can we contribute to this objective? Digital Economy can dramatically contribute to innovation, growth and jobs. It is also a powerful tool to fuel the growth of small and medium-sized enterprises (SMEs). How can we help digital entrepreneurs and works on issues related to the competitiveness of the digital economy? The 2016 Thessaloniki Summit will gather a group of regional and international prominent experts and policy makers from all around the world. 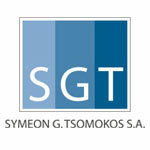 In cooperation with: Symeon G. Tsomokos S.A.